The official invite for the reveal went out earlier today. As per usual, it's pretty light on details. It tells attendees to 'gather round' and lists the date for the event - and that's about it. 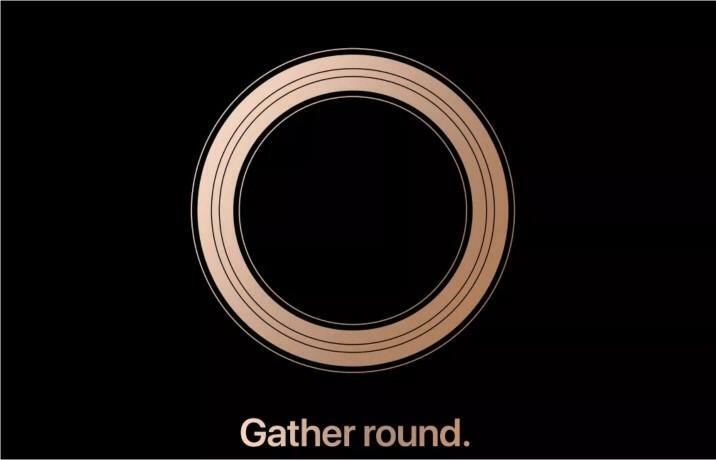 However, despite this minimalist approach by Apple, the announcement has spurred the usual hive of speculation into action. Rumors say Apple is gearing up to show off three new iPhones, a new Series 4 Apple Watch at the event and - potentially - even a new iPad Pro as well. If you're wondering what Apple might be thinking of calling this year's stable of iPhones - given the numerical leap forward that the iPhone X made - you're not alone. Select reports have indicated that one of this year's devices will be branded as the iPhone XS (as in "Ten S" not "Excess"). However, as always, these leaks should be taken with a grain of salt until Apple confirms otherwise. As with last year's iPhone announcement event, this year's reveal will be held in the Steve Jobs Theater in the company's Apple Park Campus, located in Cupertino, California. Expect more info about Apple's 2018 iPhones and more to come on September 12.